Bank owned 2BR/2BA with a den/study that could easily be converted to a 3rd bedroom if need be in Citrus Springs. Constructed in 2005 this concrete block home with stucco finish is an open floor plan with lots of light and mostly tile floors thru out. Only carpet is in the 2 bedrooms and the den/study. Spacious kitchen with an island and pantry. Dining area is located just off the kitchen with access to a 12 x 18 concrete patio. Inside laundry room. Home would be for great for year round living or for a winter/seasonal residence. 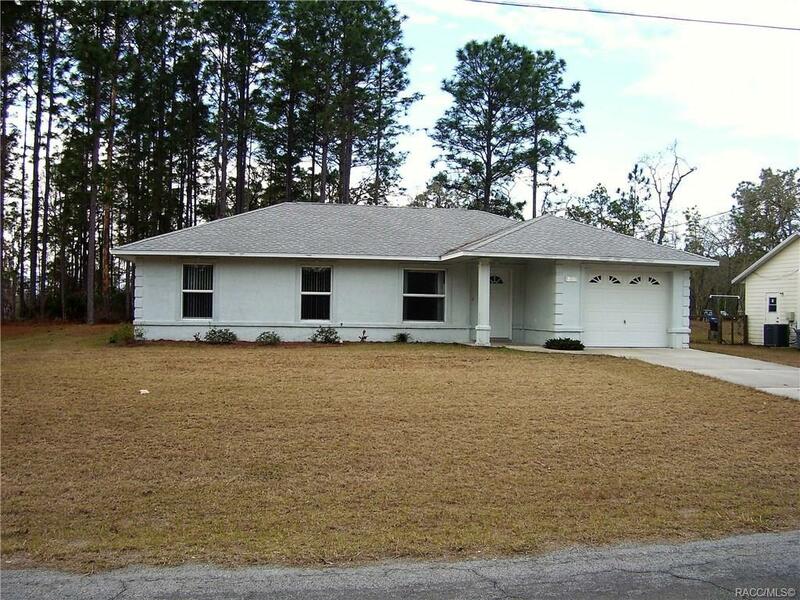 Convenient location with access to Dunnellon, Beverly Hills, Ocala and Crystal River. Enjoy nearby Rails for Trails for walking and bike riding, the Rainbow River in Dunnellon and golf courses. Directions: From Beverly Hills On 491, Left On Hampshire, Right On Elkcam, Left On Edison Place To Home On Left. Courtesy of All Citrus Realty, Inc.